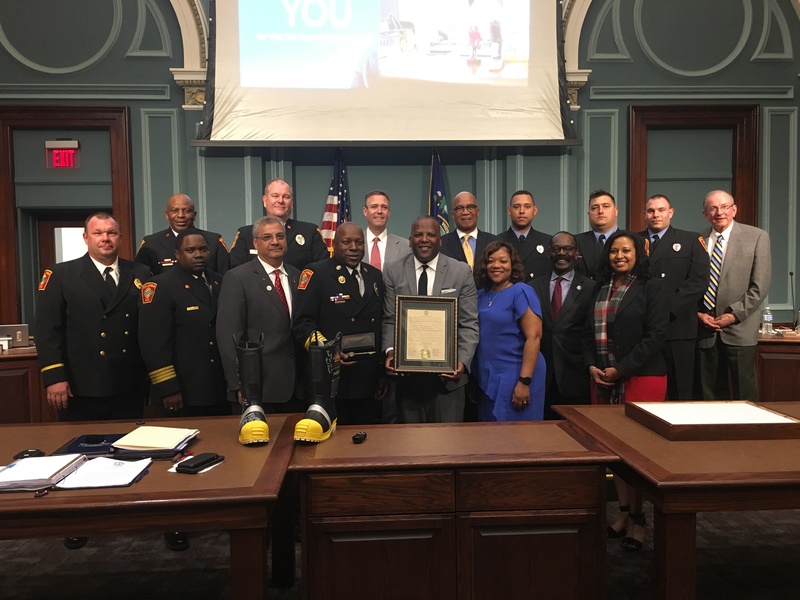 February 2019 is now officially ‘Aubrey D. Jenkins Month’ in the city of Columbia. 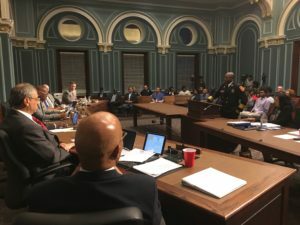 This comes after the Columbia Richland fire chief was honored by City Manager Teresa Wilson and members of the city council on the evening of February 5, 2019. 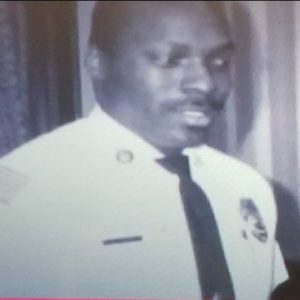 That day marked exactly 40 years since Chief Jenkins joined the CFD. 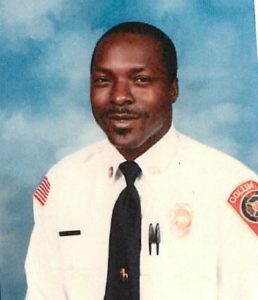 He began his firefighting career in 1979 on the tailboard of an Engine for a Battalion Chief. 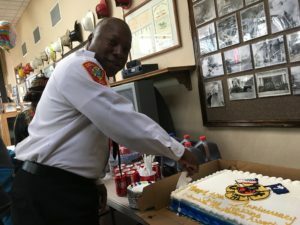 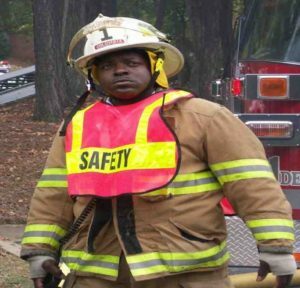 Over the years he would rise through the department’s ranks and eventually become Columbia’s first African American fire chief. 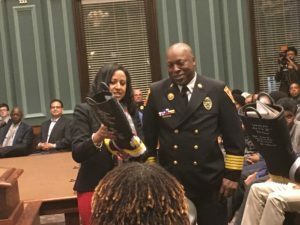 In addition to the council’s proclamation, Chief Jenkins was also awarded a Key to the City by Columbia Mayor Steve Benjamin and presented with a signed fire boot from all of the members of the council. 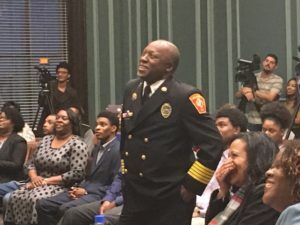 CONGRATULATIONS CHIEF JENKINS & THANK YOU!